The Martin SG-128 Stove is perfect for cottage , cabin or RV. The SG-128 has a heavy-duty, cast iron, single burner and automatic ignition. For indoor installation to a low pressure regulator at 11 inches of water column. 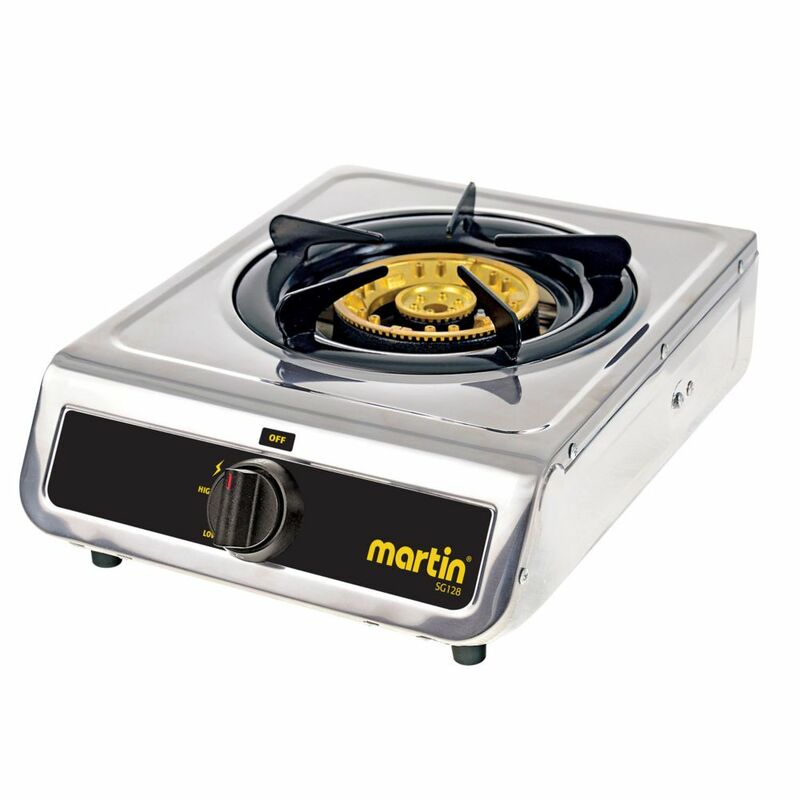 SG-128 Burner Stove The Martin SG-128 Stove is perfect for cottage , cabin or RV. The SG-128 has a heavy-duty, cast iron, single burner and automatic ignition. For indoor installation to a low pressure regulator at 11 inches of water column.